J. Cole has announced the third instalment of Revenge Of The Dreamers, hailing the return of the compilation album with an Instagram post. The post shows a yellow, retro style poster emblazoned with the the word ‘revenge’ creatively contorted in the Roman numerical symbol for three. 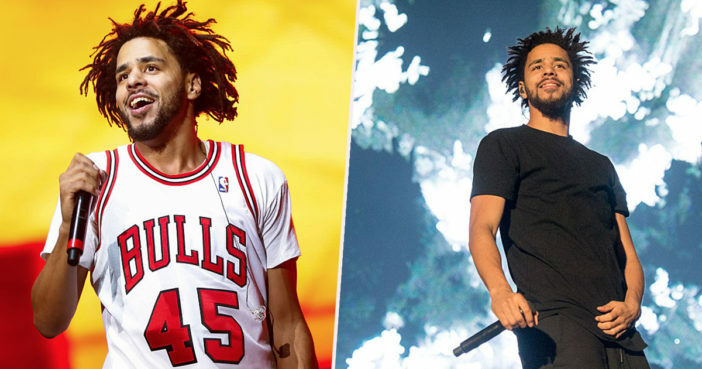 With the simple caption ‘squad’, J. Cole has ignited excitement for this long-awaited reunion, and he isn’t the only one getting involved. Other Dreamville collaborators have shared their own invitations to Revenge Of The Dreamers III on social media. Each invitation is customised to include the invitee’s name at the top. Your presence and participation is requested for the recording sessions of the upcoming compilation album ‘Revenge of The Dreamers III’. Among others, fellow musicians Ice Bear, Bas and Omen have all confirmed they are on board, tweeting their enthusiastic responses. The first Revenge Of The Dreamers album was released in 2014, with the second instalment following in 2015. This new compilation album will take place over the course of 10 days, starting from Sunday, January 6 up until Wednesday, January 16.